The time has come again for me to do my 3 day cleanse. When I first did the cleanse it was much harder for me. Now it is so easy. I actually feel too full to finish my daily food portions. I love it because you get to eat real food. 21 days of clean eating. It includes yummy desserts and foods I love. Then I go off clean eating for 4 days. I plan those days as my ladies nights, date nights, etc... I have cocktails and eat pretty much what I want, within reason. Then I start a 3 day cleanse to get out all the crap I put in the last 4 days. Then I start over. I love this lifestyle. I have a date that I know I will get to splurge and have fun, and I have a safe way to remove the sugars from my body. Being a Cancer survivor I am SO BLESSED to have found this product that allows me a little fun! My husband only cleanses about twice a year, and he struggles. He is a big eater and because of that, the cleanse is needed from time to time. So this time I was prepared with some of his favorite flavors. We are halfway done and he is feeling great. We had this for dinner last night and he at it also for lunch. It contains the veggies needed and your healthy fat. Totally cleanse safe and clean eating. 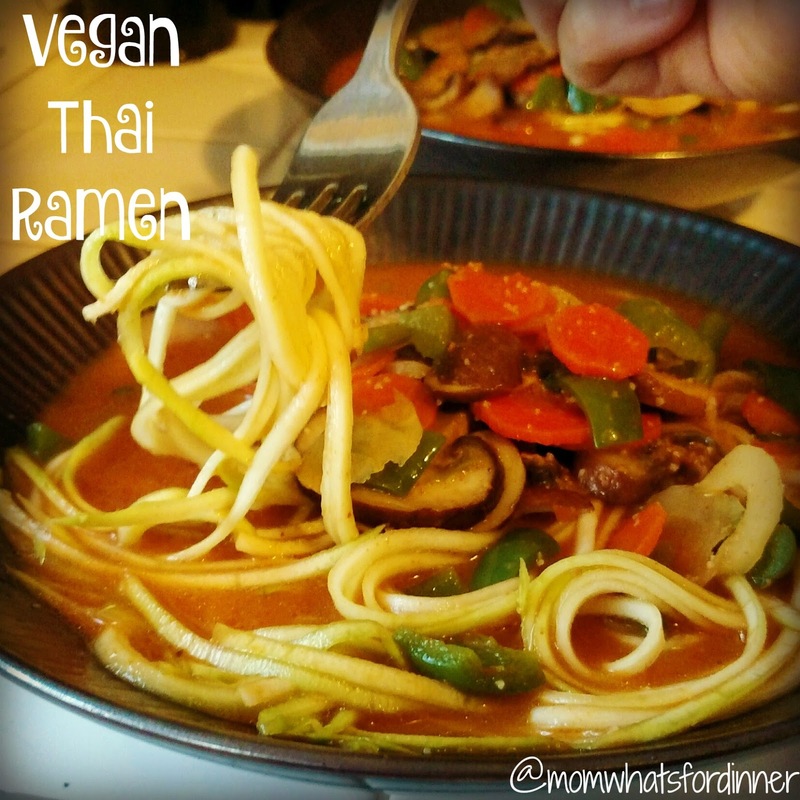 We loved it and I would eat it on or off the cleanse any day of the week! If you are interested in trying out this 3 day no exercise cleanse, email me and I will send you over all the info. It is Vegan, Organic, Non-gmo, whole food cleanse. The secret is in the red curry paste. Ingredients in it are: Red Chili, Garlic, Lemongrass, Galangal (Thai Ginger), Salt, Onion, Kaffir Lime, Coriander, and Pepper. It is only 20 calories per serving and 100% cleanse safe! I do sometimes make my own, but since the kids have all moved out, this is SO much easier. 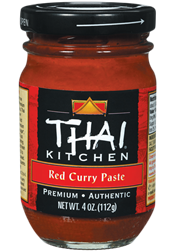 Combine one 4 ounce jar of Thai Kitchen red curry paste with one can of thai kitchen organic coconut milk and 2 cups of vegetable broth and bring to a boil. While bringing to a boil use your zoodle maker to make noodles out of your zucchini. These are very affordable tools you use to make noodles and I recommend every kitchen has one! This is what makes your clean yummy cleanse safe noodles! I peel my zucchini first, but you don't have to. Bring back to a boil and stir constantly cooking for 5 minutes. Add in your zoodles for 30 seconds (just enough to heat the noodles) then divide between 4 bowls and serve immediately!! !